They call it the eye of Quebec. Seen from above, it’s easy to understand why. 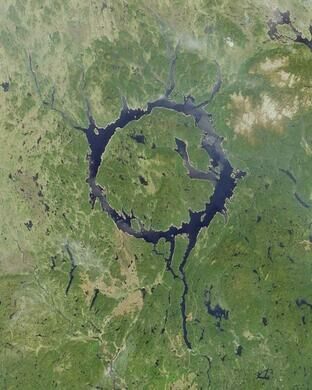 The remarkable and strangely shaped Lake Manicouagan forms as perfect of a ring as nature is likely to create out of water, circular and rough-edged like a giant coffee ring on the surface of the Earth. Lake Manicouagan is actually a reservoir, part of a hydroelectric power system that powers countless nearby homes. And while it’s not unusual for a reservoir to be strangely shaped and out of place as lakes go, that’s actually not the reason Lake Manicouagan takes such a startling and unnatural shape. 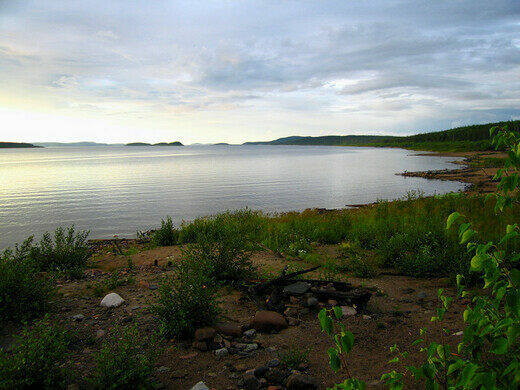 The lake bed is formed from an entirely different sort of natural phenomenon – an impact crater formed eons ago by a meteor striking the Earth’s surface. 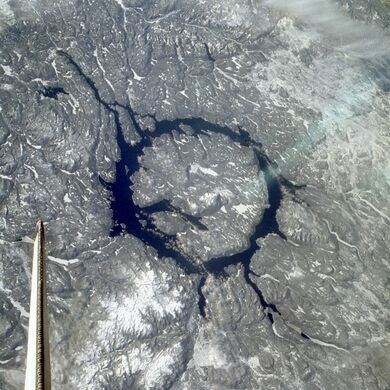 The impact crater is the fifth-largest known to man, combining a pseudo-manmade wonder with an equally impressive natural phenomenon. The reservoir spans an area of nearly 2,000 kilometers, making it so massive that it’s appreciable mainly by air, but the geography of the landscape is also interesting. 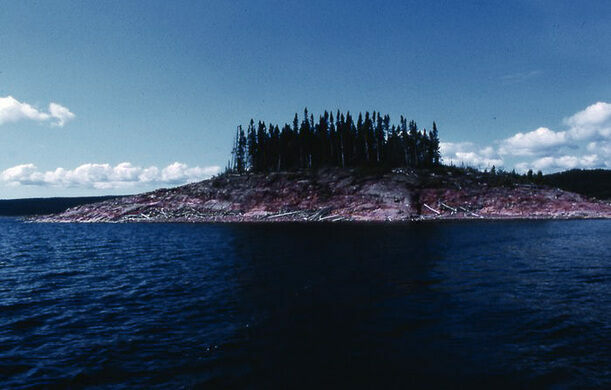 The raised center of the ring, caused by the nature of the impact and its aftermath, forms an island in the center of the lake that comprises a greater surface area than the lake itself. The high point of that raised center is known as Mount Babel, lending even more legend and mystique to the already odd formation. Both artificial and natural rivers and tributaries spring from the edges of the lake, creating a strange sense of its overflowing when viewed in its entirety. The sight of those eery tendrils, stretching into the surrounding countryside from the unnatural-seeming body of water, makes it easy to believe the notion that something deep and ancient lies beneath its surface. Artistic cabins continue to grow deep in the Canadian wilderness. An ever-changing gathering of crude wooden figures haunts the St. Lawrence River. This memorial to a horrific ship collision sits over a mass grave holding dozens of the victims.